For that truly special someone you need a truly special gift. 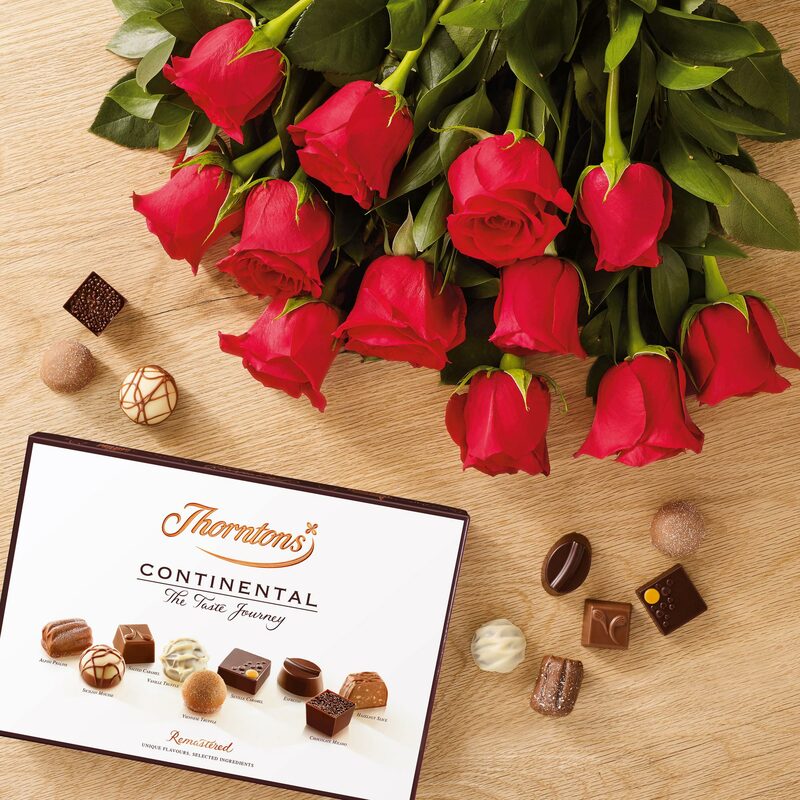 Send your loved one these beautiful Red Roses accompanied by Thorntons delicious Continental chocolates filled with a range of European flavours. 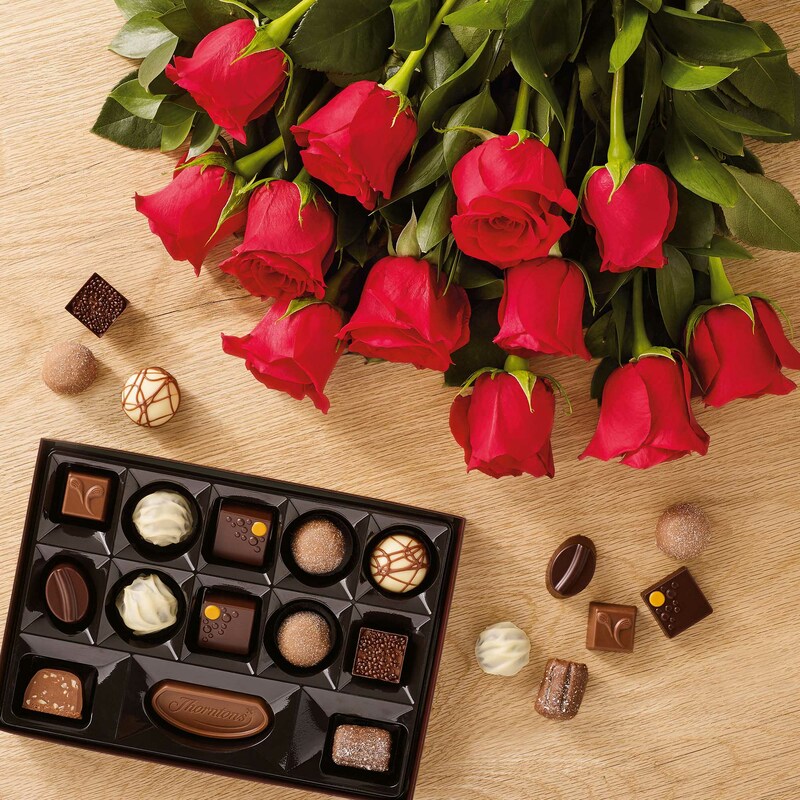 Perfect as an anniversary gift for her, birthday present for your partner or just to say 'I Love You' this flower and chocolate combination is sure to remind them of you. The Twelve Red Roses bouquet will make for a bold and passionate romantic gesture whatever the occasion. Send this uncomplicated, elegant arrangement comprising of 12 first grade large headed red roses and hypericum berries to show that special person just how much you love them!